I have spent a few hours last night reading this book. Since being diagnosed with fibromyalgia, I have had so many people recommend Paleo diet to me that I thought it'd be silly not to at least investigate further. So, having read it.... What do I think ? Well, I'm in no doubt that Paleo diet is a healthy diet. I believe that any diet that cuts out all processed food is almost certain to be, if not 100% healthy, at least a great deal healthier than a standard Western diet. What I can not accept, though, is that this is the only healthy diet. Okay, so we might have all descended from hunter-gatherers, and therefore be genetically predisposed to thrive on a hunter-gatherer diet.... But the argument that "only 333 generations ago" or "only 10 000 years ago" none of our ancestors were agricultural, or eating grains, is to my mind a very thin argument against our ability to digest grains, or thrive on domesticated animals. The author of the book maintains that, in geological terms, these 10 millennia are just a blink-and-you-miss it..... Which may well be true - but in biological terms ? If 10 000 years is insufficient for our guts to adapt to extracting optimum nutrition from grains and legums, then we really do not deserve to survive as a species, let alone rule the planet. Besides, do you believe that all vegetarians are doomed to forever be sickly, overweight specimens with reduced brain power (I can think of a couple of you immediately who may have serious issues with that premise ;o) ) ? That is.... Well, that is just such a caveman contention, don't you think ? 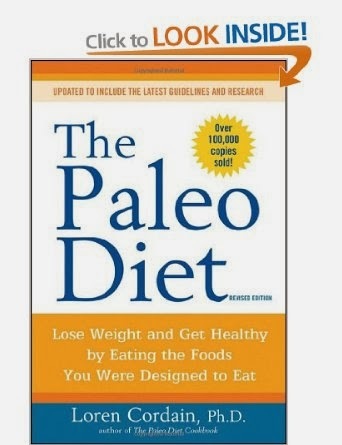 A lot of research quoted in the Paleo book is also handled in this book. - but handled in a rather more balanced manner. The difficulties with digesting grains and legumes can be dealt with by simple expedients of soaking, sprouting or lacto-fermenting, as appropriate. The strong bones, teeth without cavities, wide palates and mostly disease free lives seen in modern hunter-gatherers are also in evidence in agricultural communities that follow the above. So whilst Paleo looks like a really good way to eat.... I do not accept that it is the only good way to eat. And I do not, can not, accept that crawling out of our caves and learning to cultivate the land, to domesticate animals and to give back instead of just taking as we did in our hunter-gatherer mode, has doomed us as a species. And I do not, can not, accept that the simple miracle of a rising loaf of sourdough bread is in any way a signature on the dotted line of our death warrant. What I do believe is that we did - as a species - take a sharp turn into a nutritional dead end at some point, but I believe this to have happened in fairly recent times - last century or two, not a millennium or two - and this is something I think we should all be worried about, and should strive to correct as much as possible, by going back to basics and kicking out the processed foods as much as possible (this, of course, is the case of "do as I say, not as I do" - remember my £20 invested into Approved Food mixes ?). Oh, and let's also not forget that, whilst we are all created equal, we are by no means all created the same. Some of us might be genetic products of those 333 generations of agricultural evolution, and can therefore digest and extract optimum nutrition from all the foods that are the results of humans taming the Mother Nature and learning to work with her, symbiotically - but there are those among us whose ancestors might have been hunting and gathering as recently as 4 or 5 generations back, in which case, Paleo might well be the only optimum way of eating. The big question, though, is - how do you know ? Unless you have the last 333 lower sections of your family tree's trunk all mapped out - how do you know ? And even if you do, what if there has been some mixing of backgrounds and ancestries in the distant or not to distant past, leaving you a genetic mongrel with uncertain digestive powers ? Well, how can we ever be certain of anything ? By giving it a go, of course, and trying for ourselves. 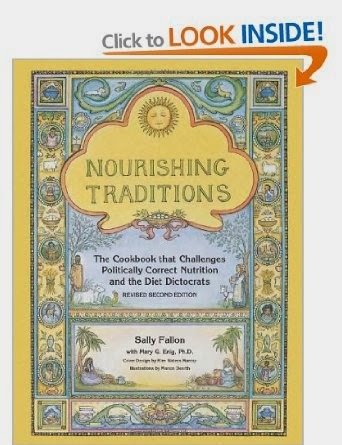 And then, when we get back, we (that is, yours truly and OH, DD, as always, will be paddling her own, mostly vegetarian, and wholly illogical, canoe) shall be going Paleo. For a few weeks, at least. Just to see what happens. Oh, and we'll be trying to do it as frugally as possible, although how on earth I'm to keep us both in meat and fish when Lidl's half price mince is off the menu is anyone's guess.... But if you have any tips of your own, please share ! Anyway, that's what makes it a challenge, as opposed to just "change of diet". The link to the first book doesn't work for me. Does the basic/value white fish fit the bill? Joseph Morris and the bulk buys for quarter of a cow but last time I looked the beef had gone up a lot. I will be watching with interest. Think I fixed it now. Any fresh/frozen fish is fine (not tinned though). I'll be posting a list of foods allowed at some point - and hopefully places where to source them without breaking the bank.... Although I suspect that bank will be taking some battering regardless ! There's a lot of the folk on the Harcombe Diet Forum that follow a Paleo lifestyle, the two go very well together. Harcombe is basically just eating foods as they were meant to be eaten, no processed stuff etc. So I've heard quite a bit about this. But as you say it can be an expensive way to eat, although after a while you find yourself eating less as protein fills you up very quickly.